Farmers Donates $500 to Franklin Applefest . . . 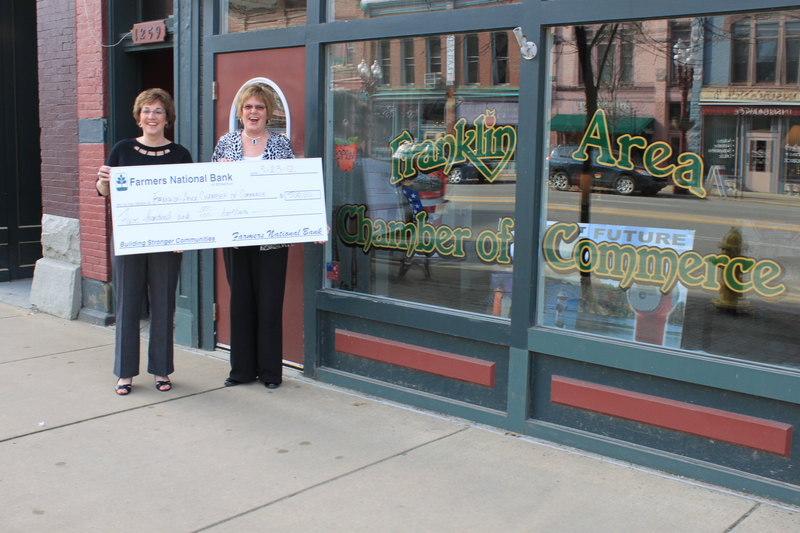 The Farmers National Bank of Emlenton recently donated $500 to the Franklin Area Chamber of Commerce in support of the annual Applefest event. Pictured is Shelly Hartle, Branch Manager of the Cranberry office of Farmers National Bank, and Lynn Cochran, Executive Director of the Franklin Area Chamber of Commerce.